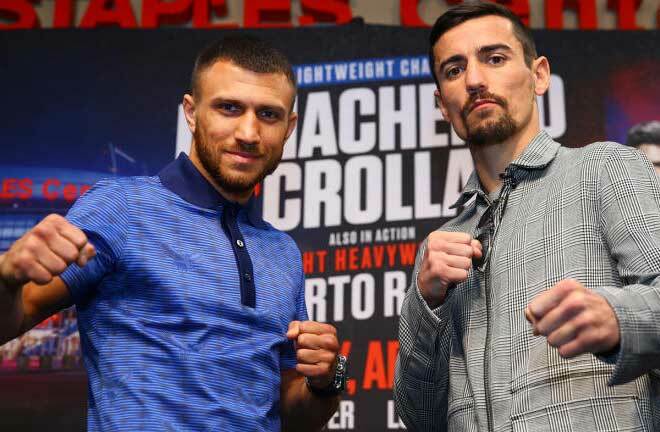 Past history has shown that intentionally trying to taunt Terence Crawford almost always back fires. Just ask Jeff Horn, Dierry Jean and Hank Lundy. Such antics usually bring out the very best version of Crawford. Apparently, challenger Jose Benavidez did not get that memo. Their war of words came to its rightful conclusion last night in Crawford’s home city of Omaha, Nebraska. 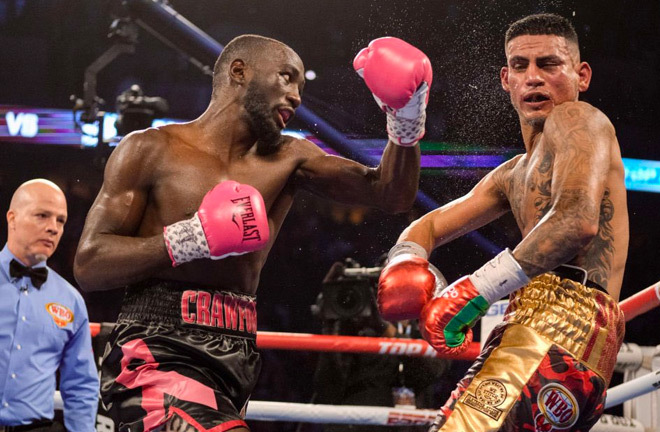 Crawford (34-0, 25 Kos) took longer than usual to figure out his bigger opponent but gradually battered and picked Benavidez (27-1, 18 Kos) apart before finishing him in the twelfth and final round. It was a satisfying ending for Crawford, who made good on his promise to punish Benavidez for his constant trash talking and shoving him at their Friday afternoon weigh-in. The victory also marked the first defense of the WBO welterweight strap he won in stopping Horn in June. Benavidez found early success in using his height and reach to control distance and keep Crawford at bay. Benavidez actually begun the fight by stalking Crawford but did not throw anything meaningful as he advanced. Benavidez caught Crawford with a left-right combination toward the end of the second round but the champion took the shots well and even stuck his tongue out to illustrate that he was not hurt before heading back to his corner. 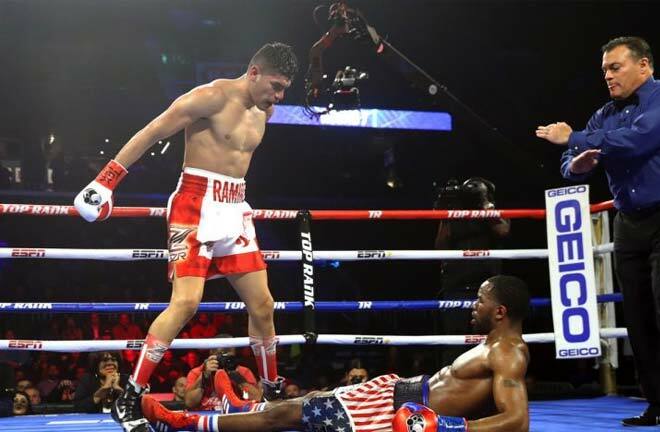 Terence began targeting his opponent’s body in the third and unleashed a series of hard right hands behind the jab but Benavidez did not appear hurt. He would continue this bodily assault throughout much of the fight though. Benavidez drilled Crawford with a straight right hand down the middle in the fourth followed by another right seconds later, which forced him to back off. It was Benavidez’s best round of the entire fight. However, the young challenger only appeared capable of fighting in spurts and could not match Crawford’s work rate when he switched to throwing combinations to the head and body in the mid-rounds. Bud began to impose his will as the fight wore on while Benavidez looked utterly dejected at times. Round-after-round, the champion started to unleash a flurry of punches such as the ones he threw in the ninth, while Benavidez rarely got off more than a punch at a time. A monstrous right uppercut landed flush on the chin of Benavidez depositing him awkwardly on the canvas in the final seconds of the final round. He miraculously got back on his feet but ate more punches along the ropes until the referee stepped in to call a halt to the fight. Crawford held a comfortable lead 110-99, 108-101 and 107-102 at the time of the stoppage. It was a losing effort but Benavidez gave a good account of himself in giving Crawford the toughest test of his short tenure in the division. You could even argue that the fight was virtually even after the first four rounds until the champion started to pull away. “It feels so good to shut somebody up who’s been talking for so long. 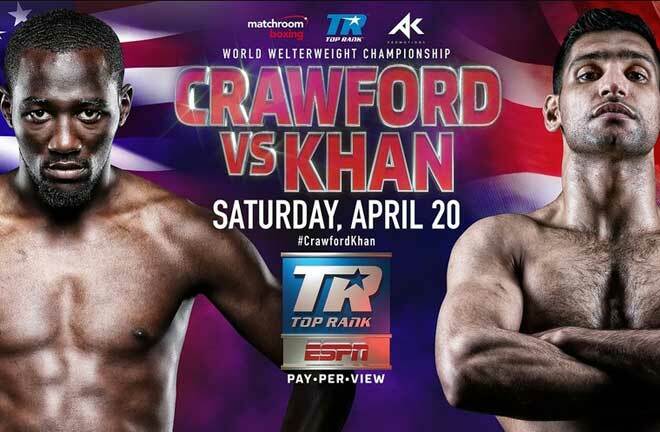 I’m at ease,” Crawford said after the victory. Making the fights with the division’s other titleholders Errol Spence Jr., Shawn Porter and Keith Thurman is clearly a priority for Crawford and Arum. For now, they can both savor this latest win. Zolani Tete (28-3, 21 Kos) needed all twelve rounds to score a unanimous decision win over previously unbeaten Mikhail Aloyan (4-1, 0 Kos) in Saturday’s Ali Trophy Quarter-Finals of the acclaimed WBSS tournament. The South African successfully defended his WBO Bantamweight World title in an interesting battle of southpaws at the Ekaterinburg Expo in Russia. Judges scored the bout 114-111, 114-111 and 114-110, all in favor of Tete. However, those marks fail to encapsulate the surprisingly competitiveness of their twelve round affair. Aloyan, a two-time amateur world champion with only four professional fights, put up a spirited effort and impressed the more experienced champion in the process. It was supposed to be a blowout given the huge gap in their pro experience. 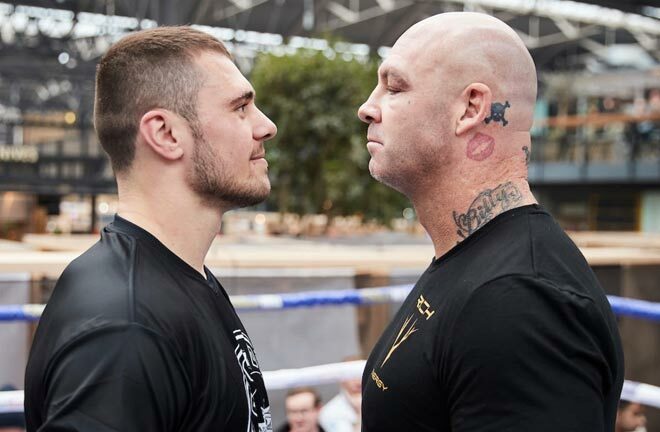 The Russian used his extensive amateur background to avoid the champion’s heavy shots in the beginning of the fight although he was stung by several huge right hands. Aloyan started to make adjustments in the third stanza and began to land some clean shots of his own but there was no snap on his punches and Tete appeared unfazed. Tete also began to change tactics by clinching whenever Aloyan got inside. Tete started to walk his smaller opponent down in the mid-rounds and was taking over the fight. Aloyan remained competitive even matching Tete’s hand speed for stretches and having a particularly strong eighth round. Tete’s constant clinching finally resulted in a point deduction by referee Kenny Chevalier in round ten but he opened a nasty cut above the Russian’s right eyebrow. Aloyan was also deducted a point for excessive holding in the eleventh and was probably frustrated at this point. 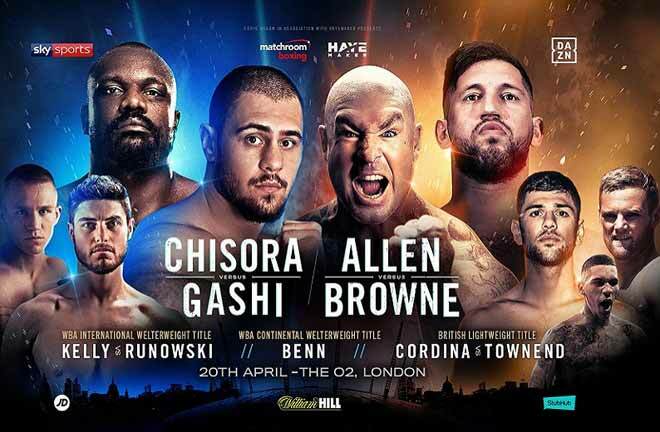 Both fighters fought to a standstill in the twelfth but by then, Tete had already banked a considerable number of rounds to leave no doubt about who should get the nod. In all, it was a strangely competitive and sometimes ugly fight. Aloyan impressed and should improve significantly after suffering the first loss of his pro career. Tete took care of business as expected and will face the winner of Ryan Burnett vs Nonito Donaire which takes place on November 3 in Glasgow.